Vintage Clothing Blog | Vintage Wedding Dresses | Salvage Life: Seeing beauty in the small things. Seeing beauty in the small things. Today I went to Trader Joe's and as I was lugging my groceries to the car I noticed this unexpected scene. 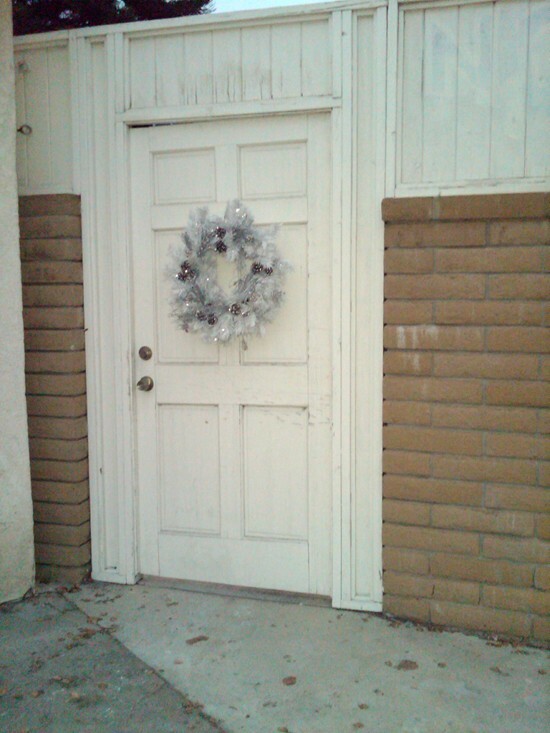 The owner's of this house that backs up to the TJ's parking lot have put a wreath on their ally door. It is so sweet that no one has taken it or destroyed it...a little pinch of beauty this holiday season.